The Bulgari Hora Domus worldtimer is a watch, not a dashboard. If you chase the sun, you could easily celebrate your birthday twice in different time zones. 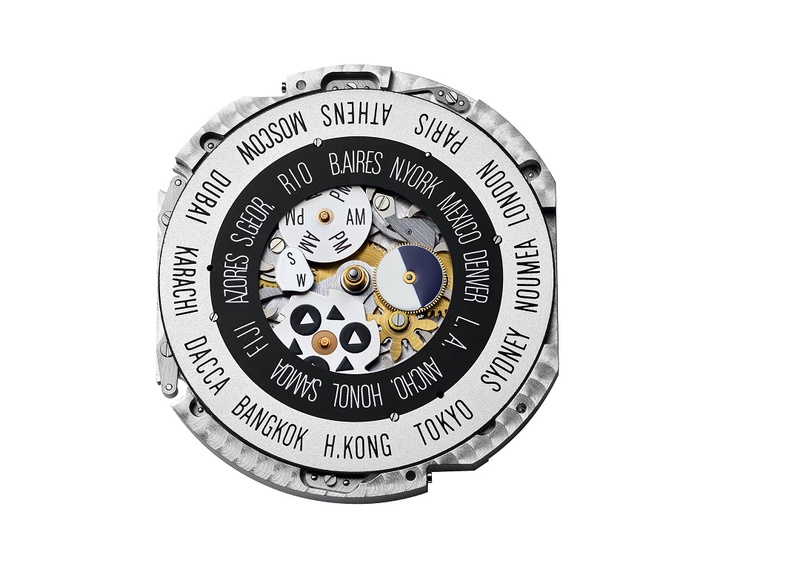 And if you’re adventurous enough—and let’s face it, loaded enough—to be a globe-trotter, it’s time to get yourself some useful bling: a timepiece that actually tells you, at a mere glance, when you’re not in Kansas anymore…or wherever it was that you and your gang last toasted your latest milestone. It’s also a good accessory for when you’re on the job, going places, taking one for the team—humblebragging like a boss. The watch says it all. Out this October, Bulgari’s newest timepiece, aptly named Hora Domus, which means “home time” in Latin, keeps it simple for you. 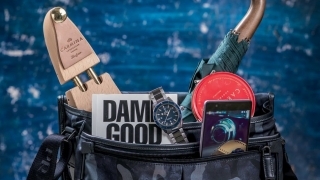 The classic-looking watch face is devoid of clutter and thus reader-friendly. A mere push of a button adjusts to your destination city (among 24 worldwide, in polar opposite pairings), which is named on the aperture signified by a hard-to-miss arrow. Solid hands show the local time, with an extra cut-out hour hand permanently set to your home time (they’ll overlap when you get back home). Conveniently placed indicators around the center of the dial show season, day/night for home time, and AM/PM for local time. If you want to automatically adjust to daylight savings time, there’s a push-button for that, too. 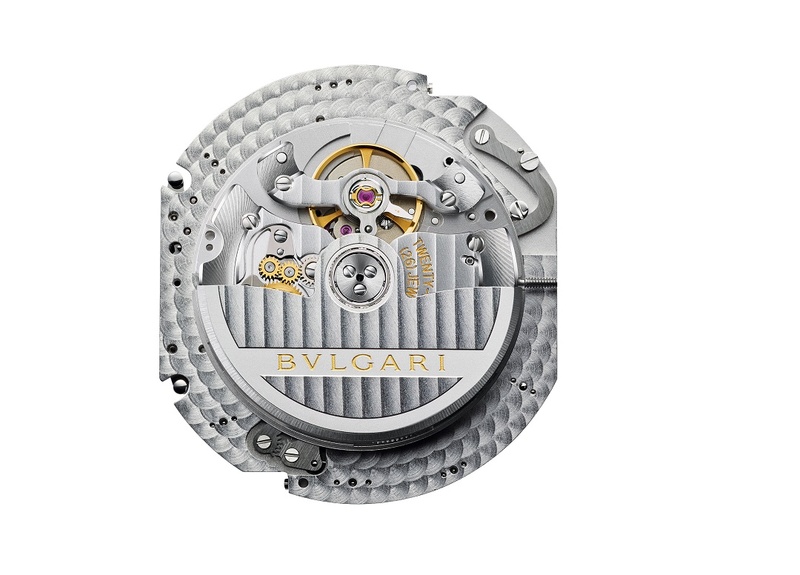 Bulgari’s Calibre BVL191 movement keeps the Hora Domus ticking at 21,600 vibrations per hour, with a 48-hour power reserve. 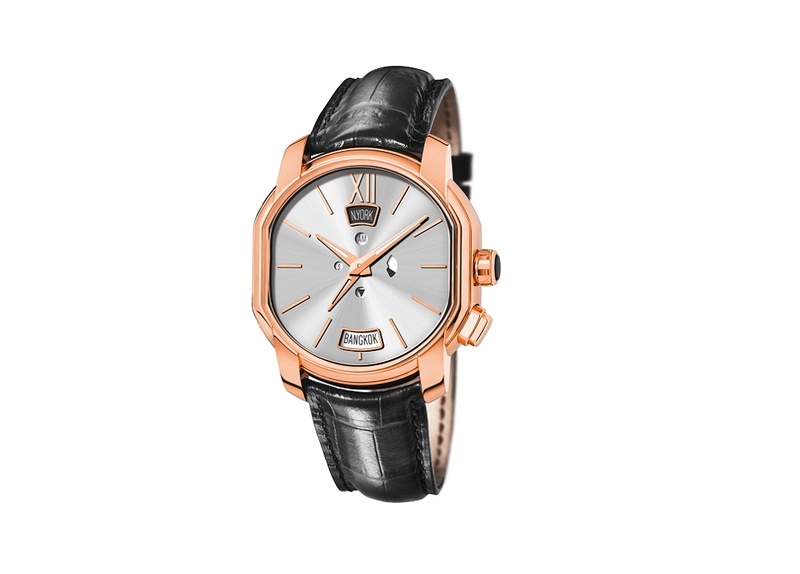 As for style, the movement itself is decorated with handcrafted circular graining and Côtes de Genève pattern. 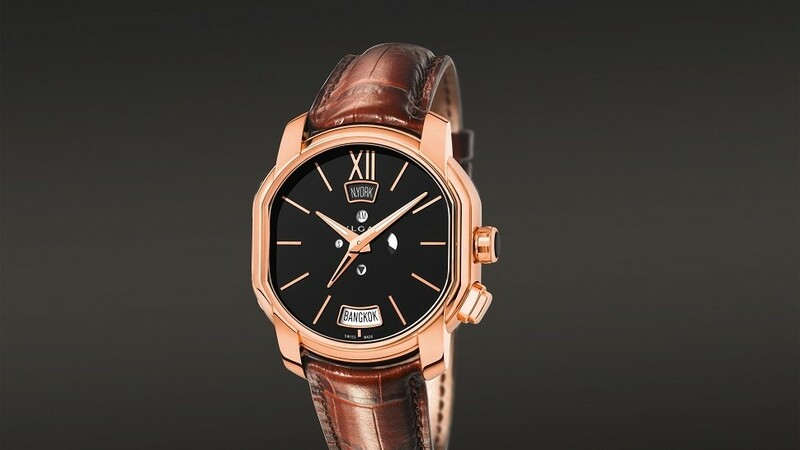 The housing is a classic 18k pink gold double ellipse case, 45mm in diameter, with glassbox sapphire crystal protecting the dial (in satin-finished silver or in lacquered black) and sapphire caseback. 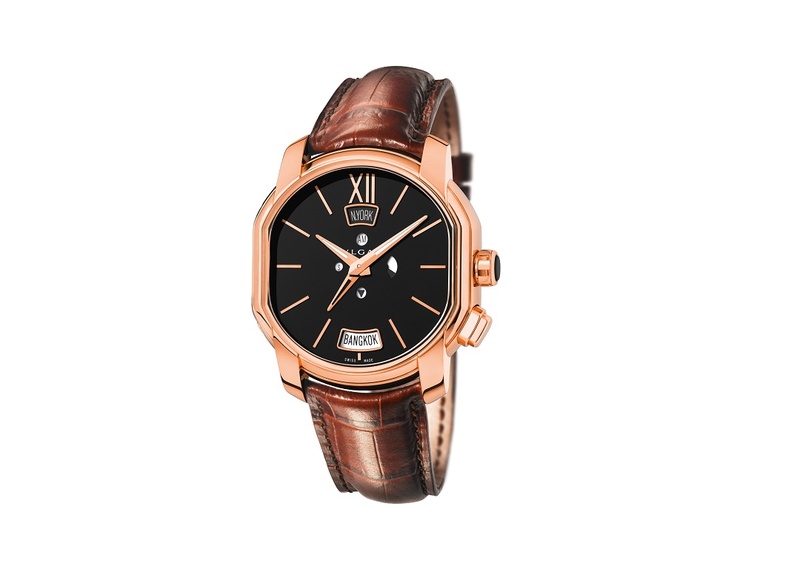 It attaches to your wrist with an alligator strap in black or “brawn,” and a rose gold pin buckle. The disorientation felt in travel is not so much due to a movement in space, but a movement in time. Jet lag is physiological, as you cope with the shift in circadian rhythms or a changed reality as it were. It helps to have a handy timepiece making your mental recalibration to space- and time-traveling much easier. You can then concentrate on the good stuff: cultural nuances and discovering what life has to offer outside your comfort zone.